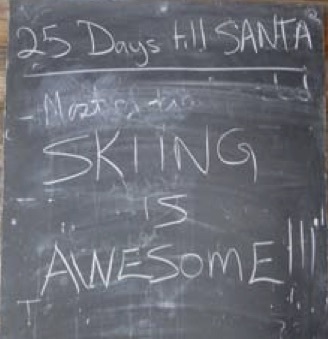 We are into week nine of skiing at the Sawmill. It hard to believe considering the lack of snow we have had to this point in time. Although we have been skiing on a very thin crust and our groomers have had to deal with lots of issues regarding the lack of snow, the ski season is moving forward. We hope to be able to use our big machine once we have a 5 cm. base; which means we need snow. So let’s be positive and keep on skiing regardless. Enjoy what we have, later, Fred.